I was going to add this circuit to my propeller output for connecting to the SDS serial link on the ECU. It uses 2N3904 transistors but is designed for 12 volts. Don't the resistor values need to be cut down for 3.3/5v? I'm not sure of the values. I was guessing about 1.8k for R1 and R2 since they see 5v, and 820R for R3 since it's 3.3v. Any thoughts? What makes you think this circuit will work with the SDS? This is a half duplex setup that echoes any data on TxD back down RxD. This is the kind of setup the Dash TECH line uses on the Busa. But the SDS plug has separate send and receive lines. I guess I'm confused about what you are trying to accomplish. This circuit, with modification for 5V, would work if your connecting a PC COM port or propeller serial port on RxD and TxD and ALDL M to a Busa Dash Data wire. Is that what your trying to do? The SDS uses only one wire to my knowledge. There is no Rx or Tx on the Bandit dealer port. Although bikes such as the Gsxr (and busa I assume) have Rx and Tx wires at the dealer port, they apparently are not used. I checked with a member who has the suzuki SDS box and only three wires are connected through the cable from the dealer port - power, ground, and serial data. When I tried coupling the Rx and Tx lines together on the propeller I could not pull one line high without messing up the other and I was lead to believe this circuit would help me get a single line communication from the Rx/Tx output of the propeller. The echo is not a problem as I can ignore it using a setting in the software. So, what I am trying to accomplish in physical connectivity for the SDS is basically the same as RS232 to the busa dash serial data line. Ok, that explains my confusion. So another question is your propeller Rx/Tx actually rs232 or is it Serial TTL? Now TTL serial uses the same bit patterns as 232 but a logic 1 = 5V and logic 0 = 0V. Now electrically this circuit would work with serial TTL if you changed the the 12V power to 5V power however logically it is going to invert your data so it wouldn't work. Do you have a link to a spec sheet for your propeller? The propeller is going to be 0-3.3v TTL with it's own logic threshold at 1.65v. The logic inversion can be addressed in the software by sending inverted signals and inverting the recieved signals. I just put a voltmeter on the SDS pin of the ECU and was surprised to see it at 12 volts (12.54). All this time I assumed it would be 5 volts. The speedometer serial pin shows 5 volts (4.63v). There's a guy who has been insisting that his dealer does not use the SDS box with the SDS software, and instead connects the SDS cable (which conveniently has a 9-pin female) directly to their laptop. I found this hard to believe, but now can see some merit to it. Obviously this would not work. But, what if the guy who gave me the cable specs inverted pins 3 and 4? Serial works, one way anyhow. What happens if the DTR is held low? Is it possible for a windows app to cause both Rx and Tx to be handled through a single pin on the 9pin serial port of a PC? It wouldn't follow true 232 specs, but could it be done? I don't know about the SDS cable-only concept, but I think I'm going to hook up a partial 232 interface direct from my PC to see if I can receive anything from the ECU. Clearly, it's telling the other end what baud rate to use. But an ECU would likely use a single rate like 7812 or 15,625 right? Also, the non-connect timeout error says "interface box not connected" rather than "no motorcycle connected", or "could not connect". I would guess there's another message if the interface box is connected but no motorcycle is. I'm drawing the conclusion that there is no way to use the Suzuki SDS software without their SDS box, since the box not only does the translation to and from the ECU but the software expects certain programmed responses from it. This does not mean we can't bypass the entire thing and speak directly to the ECU, but it does mean my hope of using the SDS software and the captured transmissions as a guide is not going to happen. It would seem the software is completely useless as it's dependant on the "box". That means we either need to reverse engineer the protocol from the ECU, or track down a box so we can observe and mimic it's behavior. I know on either Max-Suzuki or TWT, a poster bought both the box and the software. He was going to have a peek inside once he had used it a few times. He may just be able to monitor the output and give us a clue as to what is going on. I am curious as to how a dealer can be bypassing the SDS box completely......? If we could ask the other poster what messages he see's when the software is running with and without the box connected and then with and without the bike connected it would give us an idea what handshaking/checking is going on. I haven't read much about the SDS and its uses, just that you need it to set the idle speed valve and maybe the TPS value. It does have a bunch of useful diagnostics tools though. 'Started out with nuthin' and I still got most of it left"
It may end up easier to do it from the inside out, to trace the code for the serial channels. In addition to the SDS I assume the Bandit also has a Dash data wire. If I come up with a little test can you query the aud port while sending data to the SDS to isolate which serial port is which? You will have to write a modified version of your propeller software that instead of running thru the addresses sequentially allows you to enter an address from the terminal that the propeller then asks the ecu for and returns the value to the terminal. Do you guys know of anywhere online where the shop manual for this bike is posted? Attached you will find pics of the SDS-Box inside. Definitely more going on then simple serial voltage level conversion. The chip between the heatsink and the USB port and the OKI square chip above the heat sink are the USB physical interface chip and USB controller chip. The big rectangle is obviously the CPU. The skinny rectangle is a memory chip. That is a lot of memory for a converter box. Does this box have logging capability? Could you attach it to the bike and then take it for a spin around the block and bring it back to the shop and then download the log to the PC. It would be a much more valuable diagnostic tool if you could. And then of course the white plug in the upper left. Lets hack the SDS box! Wow, that box is much more involved that I thought it was. I like the idea of hacking it! Blackgixxer, is that something you have access to or did you have it just for the pictures? RR, I can setup the propeller to test the ECU for the serial input. Let me know what you think I should be looking for. Geoff, that user was on TWT and seemed reluctant to do anything with the box other than use it as Suzuki intended. If Blackgixxer doesn't have the box, I'll ask the TWT user again. At a minimum see if you can get a readable pic of the numbers on the cpu chip. That would at least tell us if it could be downloaded. Unfortunately I had the box just for the pictures. I sent the pics in original resolution to RR. On the CPU is written 64F2636F20 H8S/2636. Timsyrop on TWT agreed to run a port capture program for us when he runs the SDS setup on his bike. I figure with that we can find out what the box sends back to the software which causes the software to "open" and make available the menus. Once I'm able to click on those options I can hopefully find out what memory areas are being probed, etc. I'm not sure how much the box is doing in that department though, and what comes from the software may not be very helpful. On another note, Dale Walker is organizing a donation based purchase of an SDS box at his dealer cost so we can experiment with it. I would think that if the money is going to come through for it, it would happen in about 2 weeks. For communication protocol between the computer and adapter, the international standard ISO14230 is used. I assume they are talking about between Windows and the box over the serial / usb. They also refer to the cable that plugs into the bike as a "K line", which is the same terminology used for that line in an OBD connection. Makes you wonder if in fact what the more modern bikes have is actually just some form of OBD interface. There is all kinds of freeware OBD software out there. Maybe someone should give it a try before we go and try to reinvent the wheel here. There as to be a few people fluent in OBD hanging around here. This is all very good news. I just read on the swiftcom site about the data rate for ISO-14230 being 10,400 and that a microprocessor is commonly used for the conversion to PC speeds. That might partially explain the one in our SDS box. Something like this should work too, and without the propeller. I assume the ELM chip does the baud conversion. Timsyrop did a data capture for us of the communication between the SDS software and the interface. You can see it Here. If it is OBD, we only know what Suzuki has already told us. The question of the ECU's serial line being OBD is still in question. I don't have the max232/L9637 working yet with the ECU, but I still have a lot of other things to check including plugging it into my car to make sure it works. What's interesting with the captured communication is that it doesn't show a 5 baud 0x33 wake-up and 0x55 response as the swiftcomm site indicated was normal initiation. Based off that I found the SDS code in the software, at least the rcv side anyway. It is the Interrupt Service routine for SCI4 RXI. I'll look at it and see what I can find...so far all I've found is the max msg len is 260 chars. After 4th byte buffered, rcvr and rcvr interrupt disabled. This is an Motorola S Record (s19) File end of block. Does this mean the ECU sends and / or receives large blocks of data in s19 format? Isn't the 81 00 00 81 a response from the ECU headed towards the software? I guess I'm not reading this right...which doesn't surprise me because so far I can't find any of the things you have RR. Is it safe to conclude with your discovery of the SCI4 connection that the data is likely exchanged directly with the ECU with little or no translation/conversion by the interface? Ah, I thought this WAS the ECU data. That box is kind of complex for just a level converter. It could be that it is a baud rate translator and logger. Software design wise it is always easier to let the Windows software do the heavy lifting as it has all the power. When you say you can't find "any of the things" are you talking about the software or the captured data? The data above was captured on a PC by monitoring the USB port. It shows the traffic between the Suzuki software and the Interface box. How much of that data continues strait through the interface to the ECU is unknown. An ECU was connected during the capture so the data includes responses from it, but they may have been modified by the interface. As you said, the interface is too complicated to be just a level converter but I wonder why they would set it up to log data when the PC is better off doing that. I don't think the interface works without the software telling it what to do, although I guess it's possible you could turn on the logging/disconnect the PC/go for a ride/plug the PC back in. I saw nothing in the SDS instructions about that. As far as not finding anything, I was talking about the things you had located like the motorola string, the SCI4 reference, etc. My lack of knowledge and experience is impeding me greatly. What I was hoping the data would show is if the OBD protocol (even with custom suzi commands) was being used by the ECU. At a minimum I'd like to know of a string I can send the ECU and be sure of getting a response. I thought of duplicating what the software initially sends, but I'm assuming the baud rate would not be passed to the ECU. That means the first string we see in the capture is intended for the interface. For all I know the response we see is generated by the interface as well. Do you have Ida pro? If so what version? I could send you what I have so far. I have the older 4.8 version. I know in the past others with the newer versions have had problems importing IDC files generated from my older version but if you want to give it a try I'll send it to you. I spent a couple hours on it this weekend. The ECU appears to look for an 81 00 00 81 to set a flag that then allows other non 81 packets to be processed. After that the code gets kind of crazy. Finally it jumps to a unique location for each test value. I ran out of time to work on it at that point but it looks like all the commands are there. Someone just has to do the grunt work of tracing the function of each one. Many of these appear to be a simple query of a particular address much like the Dash Data serial line. I didn't get around to looking at the transmit reply portion. But I don't see any reason why you shouldn't be able to have a direct conversation with the ECU without the interface box. If you could email it to me, I'd try and see if I can get it loaded. A member of the Max-Zuk board is going to loan me his SDS box so we can hack it. Probably going to have it in about a week. I'm thinking the first thing to do is figure out what protocol it's using to communicate with the ECU. I could use a scope to capture the communication between the two and then translate that to binary/decimal afterwards. Any other ideas on how to go about it? I got the SDS box a few days ago. I was happy to see it communicates just fine with an ECU on the bench, but so far have had no luck at all isolating the TTL data I thought I should be seeing on the SDS line to the ECU with a scope. I have no previous experience with a scope, but I've tried every combination of speed, trigger, and coupling. The best image I get out of it is around 15ms where a saw wave shows a series of verticle lines dropped below it. Almost looks like a bar code. If I go any faster with the speed I lose all semblance of verticle trace. The scope has a calibration point (1khz square) and it makes a nice crisp display of that wave so I think the scope is okay. Is it not possible to view TTL data on an analog scope like a Tek 2465B? Or am I doing something wrong? See how the data burst on the right has different vertical lengths and floor? Even if it has to be viewed this "congested" I would have at least thought the lines would be the same length, even if they were at different heights (0 or 1). I can post pictures of faster captures if that helps, but IMHO they only get uglier from here. You need to use the trigger delay feature. In order to read the individual bits of the data you posted you need to 'zoom' in. (decrease the time base). Problem is when you do that it zooms in on the far left side or what happens immediately after the trigger event. It is like your trying to read a long sentence but your only allowed to zoom in on the first word of the sentence. zoom in farther and all you get to see is the first letter of the first word. But what if you want to zoom in enough to read letters but want to read the letters of a word in the middle of the sentence? This is where the Run After Delay comes in. You set it up so that after the trigger it waits before is starts to trace a display. In other words you tell it to read farther down the sentence before it starts displaying the letters. Set up correctly you can use the delay knob to 'walk' the display down the waveform like pulling a magnifying glass across the page. Few other things. Set you voltage for DC. It looks like you have it set for 10V AC per division. Also if I remember correctly the SDS is a single bidirectional data line. If so then the varying vertical size (voltage) of the signal is caused by two different devices talking on the same wire. Actually you will be able to use this to help tell you when the sds box is speaking and when the ecu is replying. Also your power supply has a lot of 60Hz hum (saw tooth wave at the top) which is making the signal harder to read. Your display is set to 15ms per division and two of those waves is just over a division. The period of a 60hz wave is 1/60 or 16.6mS. That means your power supply is a linear (has a big transformer) with a full wave bridge rectifier. It needs a bigger filter capacitor and/or a regulator. Thanks RR, the run after delay works great. The only problem now is that the data changes too fast to keep up with. While I'm examining the selected delayed area (no more than half the screen) there is data outside the selected area I'm missing. Plus there's no time to scroll across the delayed data as it changes too often. Even looking at it frame-by-frame on 30 fps video so far has been a very uphill battle for me. I'm sure I'm not doing it right, but counting 1 bits seems harder than need be anyway. I'm trying another approach. I've tapped an RX connection onto the SDS line and run it to another computer. Now I'm trying to figure out the baud rate. 9600 looks the best so far out of standard rates but has sporadic data loss. I traced the SDS pin to TxD4 which is what you told us back in December RR, it's using SCI4. Would the ECU code be able to tell us what baud rate it's using? I wonder if it's the same 7812 PetriK found for the gauge serial. With that info, I think monitoring the SDS comms and figuring out the protocol should be fairly straitforward (famous last words? ). Your going to be hard pressed to make any progress with out a storage scope, one that can memorize a waveform and let you examine it at your leisure. Your idea of tapping into the communication stream is the best way to go. This is the scope i use . The baud rate turns out to be 10,400. That plus the fact that the line goes 12v high on idle tends to support it being ISO-14230 communication. I wasn't able to communicate though using the k-line off an L9637 chip, possibly because I didn't know what to send to the ECU to get it to talk back. When I added my K-line to monitor the communications between the SDS box and the ECU, the communication between those two devices failed. I'm guessing the combined current of 2 k-line devices is too much for the remaining device to pull down when it wants to talk. This is supposed to be a 1:1 connection. So, I gave inverted RS232 a try using a MAX232 on a TTL232 adapter and that works! I changed the 57,600 baud rate on my TTL232 to 10,400 by using an override (34,00 becomes 20,41) in the ftdiport.inf file prior to driver installation. Then I used Mprog to invert the RX and TX. When comparing the traffic from the PC to SDS capture to the SDS to ECU capture, it's clear there is a lot of traffic going to and from the PC that is never getting to the ECU. But, the actual commands from the PC and the responses from the ECU are not being translated by the SDS box. This means we should be able to send them directly. In this block of data we see a command from the PC in purple, and a response from the ECU in blue. This data is repeatable, so there appears to be no corruption. The first pair I believe is the wake up and response. The second pair shows the ECU returning it's Model#(32920-18H2). The blocks of black numbers are unknown. They do not exist on the PC-SDS side. The third pair is a request also resulting in the model# return. The fourth pair is the keepalive. If I do nothing this pair repeats forever. The last pair is the disconnect. It looks like the first three bytes are the packet preamble. 80 12 F1 identifies sender as SDS and 80 F1 12 identifies sender as ECU. After that comes Length or number of data bytes. Then comes the message data followed by a simple checksum. The checksum being the byte wise sum of all the preceding bytes. At least this narrows down what command bytes we actually need to look for in the code. I would suggest sending more 1A commands with different arguments than 91 and 95, see if it starts returning other data. I'm only able to read with the inverted RS232 setup, and only have one TTL-232, so I'm going to read all the commands and replies I can using the SDS software before I go back to the L9637 chip for Tx tests. The "Data Monitor" in the software shows the value of 21 different sensors including rpm, throttle position, MAP, temp, PAIR, etc. The command sent to the ECU is 80 12 F1 02 21 08 AE. My ECU on the bench replies 80 F1 12 34 61 08 0C 16 50 E0 17 50 E1 FF FF FF FF 00 00 01 FF 00 00 FF 00 FF 00 FF 7C FF 00 00 00 00 00 00 00 00 FF FF 40 40 40 40 FF 00 FF FF 26 00 00 01 22 FF FF D0. The response would be different on a running bike of course. The "Data Trouble Code Inspection" is called by sending 80 12 F1 04 18 00 00 00 9F. The response indicates 12 trouble codes on the bench with 80 F1 12 26 58 0C 01 05 E1 01 10 E1 01 15 E1 01 20 E2 17 50 E1 16 50 E0 16 51 E2 16 54 E2 16 55 E0 04 80 E0 05 05 E0 04 43 E0 C3. This data will be more interesting on a running bike where I can better identify which bytes represent which sensor. For now though, it shows DTC info coming from a command 18, and sensor data from 21. I also noticed 80 12 F1 06 A5 05 20 00 70 00 C3 is used to reset the ISC learned value, so there may be more to look for in A5 as well. Actually it is easier to identify the things like the sensor values with the ECU on the bench then on the bike. We do it all the time with new ECUs to identify the analog ports using the AUD connector. Find the ECU TPS pin on your wiring diagram and connect a clip lead to it. Start the sensor scan while its running observe the data when you connect the TPS lead to the resistors and when it is open. You should see one of the FF values change to around 80 when its connected and go back to FF when it unconnected. That value is your TPS. Move the jumper to STP, IAP, SAP etc and repeat the procedure. Some of the inputs like temperatures are normally just resistors to ground so they will probably read higher than 80 but you should still see them change. I've noticed that so far the syntax I described seems to be holding up. Hopefully sometime this week I'll be able to give you some help and try to look up some of these commands in the code. If I can find them I might find a table of commands for you to try. That's good to know about the bench testing of sensor values, that's MUCH easier than involving the bike. I bolded the ones we've already seen with the SDS software. 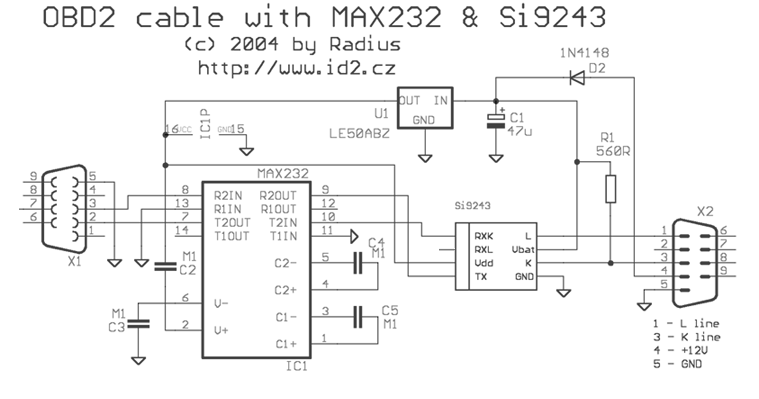 I wonder if command 23 could be used to loop through all the addresses and read out the original program without needing to access the AUD port. I found the code where the commands are parsed. It is at 0x00007840. 81 establish communications is not in the list but I'm assuming it is a special case. I should be able to find the list of 'Local IDs' pretty quickly. Now 'all' we have to do is look up all those values in the code. Unfortunately the Bandit is not a very well developed disassembly. Now that I know what I'm looking for I'm going to go back to the busa and see what I can find. Update: Here is a stupid question....Does the K2-K7 Busa have an SDS plug? The software doesn't look like it supports it. The SDS software lists the 08-9 Busa and 04-9 GSXR 600/750 as being compatible, so due to the omission I'd guess the pre 08 Busa does not support SDS. Was the 04-09 GSXR1000 was in that list? I looked at the 06 1000 code and it appears to have the same setup as the bandit. Uses the same subset of commands and list even. Good work on the sensor testing. At first the data looked a little strange to me but then I'm used to scanning the Analog ports were you get the raw data. It then occurred to me that obviously these are the values the software uses after they have been converted and massaged. For instance the air pressure values read FF unconnected and 80 at 2.5V just like an analog port because those are the numbers the software actually uses. The conversion to real world numbers is inherent in the x axis table of maps that use these values. Scanning ports I would expect to see the same thing on the TPS. Of course however here it reports as 01 when unconnected, not FF, because you wouldn't want the software to think the throttle was WOT if the TPS became disconnected. Also I'm sure the temperatures are reporting as degrees C (after some conversion) not sensor voltage. The voltage to temp conversion is non linear and varies by model so of course it makes sense to report the temp version rather than voltage. The next question in my mind is are these values consistent across models. If command 08 byte 20 is TPS on the bandit is it also TPS on all the GSXRs? When we write the software we should use a system similar to RomRaider where we can have an xml file that can be edited to name all the variables and provide units and conversion factors. That way as new variables are discovered thru testing like this they can be added without having to rewrite the software.